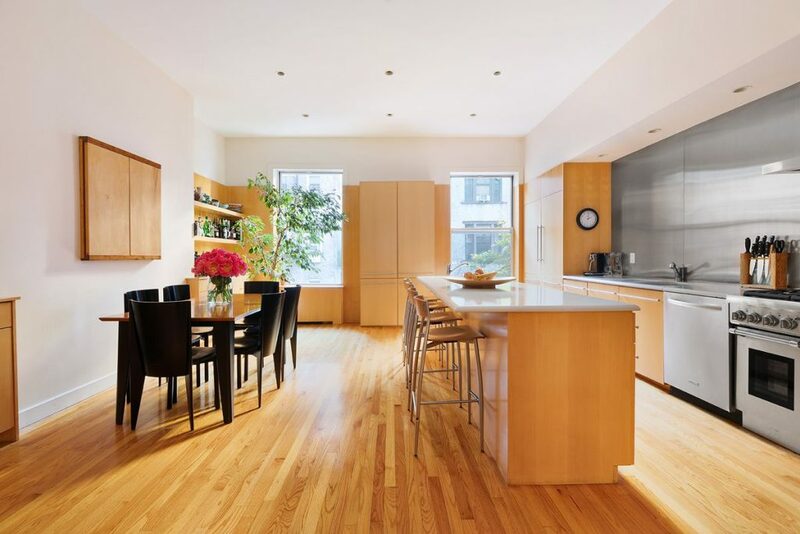 Upon entering through a glass-enclosed vestibule, the ground floor leads to the first of several living rooms, a kitchen featuring sleek wood cabinetry, a guest bedroom suite, and a balcony overlooking the rear garden. 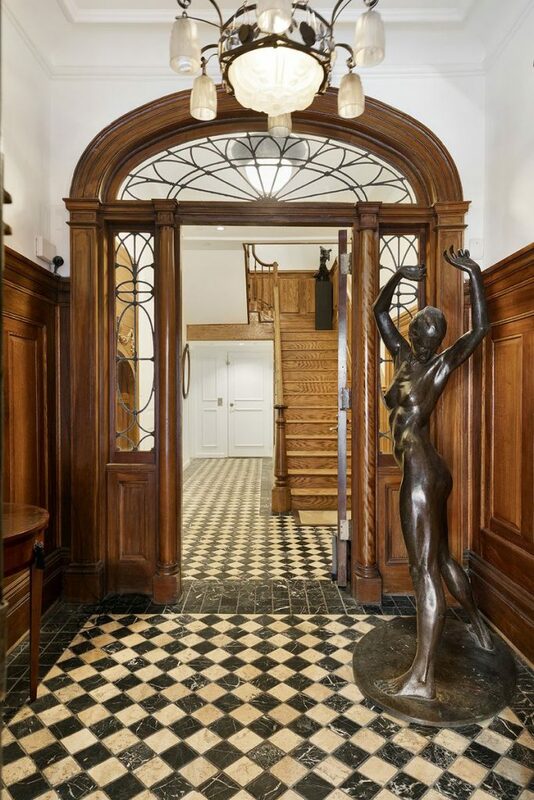 A stair leads down to the garden level which includes a staff suite, kitchenette, recreation room, and powder room. 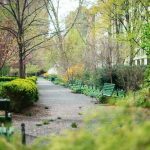 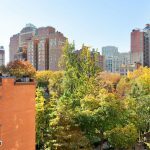 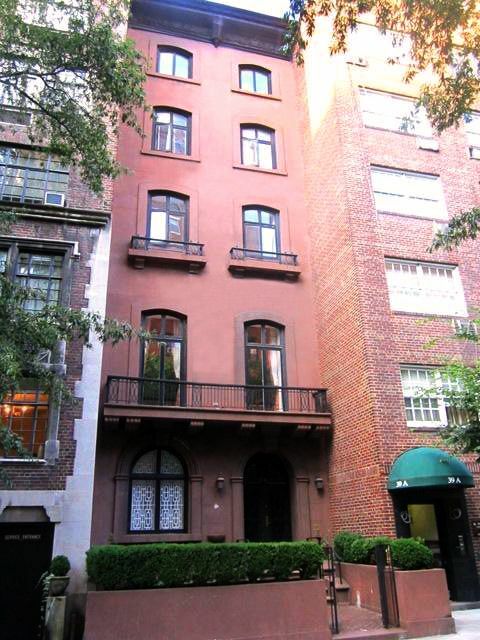 Though residents already have access to Gramercy Park, the home also has its own private garden in the back. 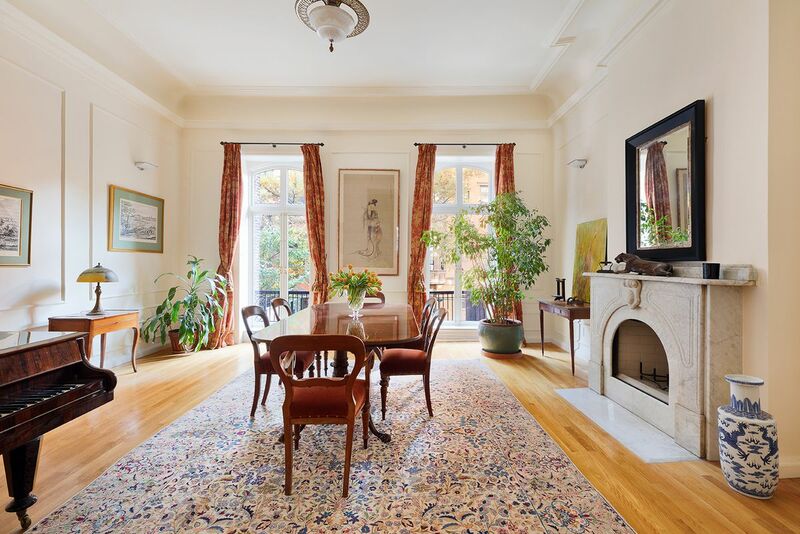 The parlor level has two formal living rooms featuring 13-foot-high ceilings, wood-burning fireplaces, a wine storage room, and balconies overlooking Gramercy Park. 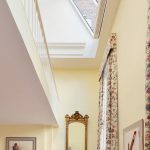 Upstairs is an extravagant two-story master suite with two separate full baths, a walk-in closet, large double-height windows, and access to a private staircase that leads up to a study/office space. 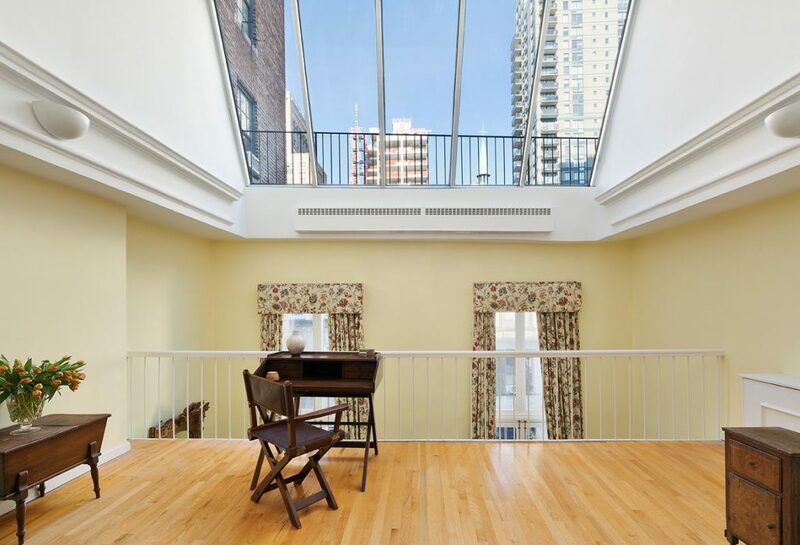 17-foot ceilings and large skylights fill the space with light. 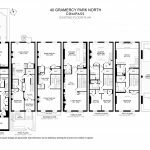 On the fourth and fifth floors are three additional bedrooms and two full baths. 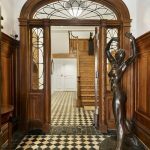 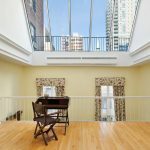 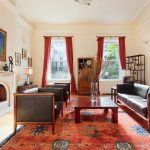 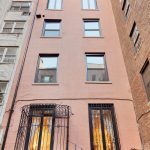 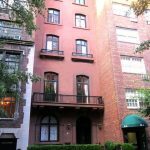 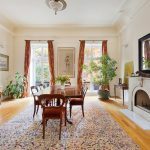 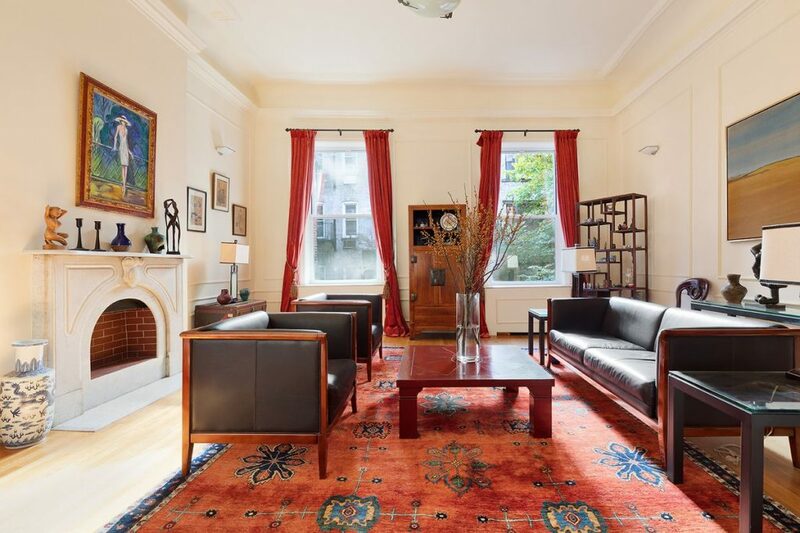 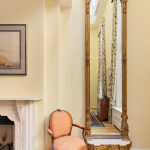 Built circa 1851 in the Anglo-Italianate style, the house currently covers 7,200 square feet but since the property lies just outside of the Gramercy Park Historic District, it could undergo a significant renovation.